We all have big plans for changing our lives at the beginning of a new year, thanks to the fresh start effect. But it’s February…and reality is probably starting to set in for many people. This may not be the year you become a workout guru, vault your career in a new direction, or finally write that novel (what a year that would be!). But there are simple ways to take advantage of your leftover motivation from the lingering fresh start effect now that can make your whole year better, in small but important ways. A great way to nudge your own behavior is to take it decisions out of your own hands entirely. There are a few one-time changes you can make now that will benefit you all year—and sometimes for years to come. Make the switch: Change your light bulbs to energy saving light bulbs like LEDs or CFLs. There is an upfront cost to buying all new light bulbs, but you’ll save a lot of money in the long run by decreasing energy use with hardly any effort. Bonus: it’s good for you and the environment. Up the ante: Increase your retirement contribution by 1%. If your automatic retirement withdrawals have been stagnant over the past few years, now is a good time to put away more money for the future (especially if you started the year with a raise, as you are less likely to feel like loss). Even better is to sign up for the auto-escalate option, if your plan offers it. It only takes a few minutes to make this change, but you’ll keep saving all year, and beyond. Get your flu shot, alreaady: February is not too late to get a flu shot and protect yourself (and others) from this particularly severe flu season. No need to make a doctor’s appointment; most pharmacies and walk-in clinics give flu shots on a drop-in basis. If only everything in life only took one simple action…but there are strategies for managing your repeat tasks, too. Make the machines do it: A smart thermostat can help you regulate your house temperature better while saving energy and money. No more trying to remember to turn the heat down before you leave or go to sleep. And some utility companies offer their customers rebates for purchasing smart thermostats to lower the upfront cost, so check with yours before you buy. Automate, automate, automate: Make payments and appointments recurring. Set up automatic transfers for paying regular expenses like rent and credit card bills—you can even download an app to automate savings by setting “round up” rules or weekly contributions toward a specific goal. Also, schedule recurring times for standing doctors appointments, haircuts, waxing appointments, grocery delivery—whatever floats your boat! It creates consistency and removes the hassle of scheduling each time, saving mental energy. 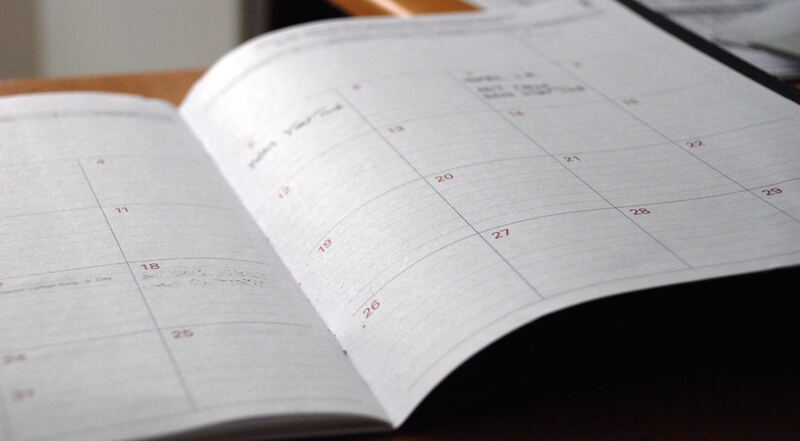 Plan ahead: Take time now to schedule key events and plan when you’ll do what’s important to you. Whether that is spending time with family and friends, taking a vacation, creating an exercise routine, or anything else—visualizing when on the calendar you’ll actually do those things (and setting a reminder in your phone to make arrangements) will help you follow through later. Not all goals for 2018 have to overhaul your entire life. Building these quick actions into the beginning of your year can produce benefits all year long. Have you taken actions with long-term effects this year? Tweet them at us at @ideas42.